Hi I’m Joy. I’m a fan of Kdrama and Kpop. I’m currently into While You Were Sleeping & BlackPink. First off let’s define Kilig! – A sudden feeling of an inexplicable joy one gets when something romantic or idealistic occurs. Here are 6 Reasons we think Korean Drama’s make us KILIG! Most of Korean Dramas have this action of affection. In my fangirling point of view back hugs not only made us kilig it made us smile and weep. Ahhh, who could resist feeling kilig when your favorite love team do this in drama you love. Like you can screeaammm your lungs out because you could do nothing but to scream! Your first impression usually: it’s harsh for a guy to grab the girl, but then you’ll realize it is romantic that after he grab her he make her feel protected then will kiss her. Sometimes it is a sudden kiss that our heroine could do nothing but to close her eyes and feel the moment! Most, but not all of Kdramas I’ve seen, has it’s lead actor treat the heroine with coldness but this treatment will eventually change into love. Then towards the middle of the drama, this harsh guy will eventually become the knight of the shining armor of our lady in waiting. Isn’t it kilig? It’s like you feel emotional outburst — butterflies in stomach you can’t handle. When they smile or wink or just simple gesture make our heart melting. We’re guilty including them in our prayers to be loved by the character we fall in the drama. If you need a daily dose of kilig to light your day, best to follow your favorite Oppa in social media! Let’s not deny that after an episode, we can’t stop to hum the OST played with the vivid vision of what we saw and feel. Well, for me an OST can be one of the factor we feel kilig, the soundtrack when it is played especially on the scene that they are confessing there love for each other (heart bursting ahhhh). It is in the OST that when it plays the feels of the Kdrama comes back (sigh). My favorite has to be Davichi’s This Love (이 사랑) from Descendants of the Sun. So there you go, my 6 Reason why Kdrama makes me Kilig I’m always hooked! We want to hear what’s your favorite Kdrama and what makes you kilig. Comment down below. 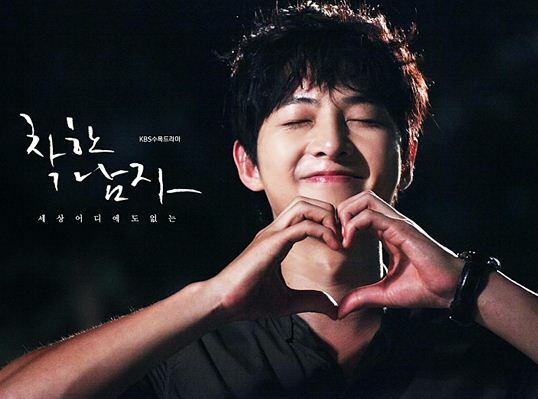 It’s no secret that I am a fan of Song Joongki. I was totally hooked on him the moment I saw him on a drama called Triple. He has since become my favorite Korean actor. So when I heard he had a new movie – I was psyched! And when I heard it was going to be shown internationally – in the Philippines especially – I went crazy!!! You see, Korean movies aren’t really released in cinemas in my country. 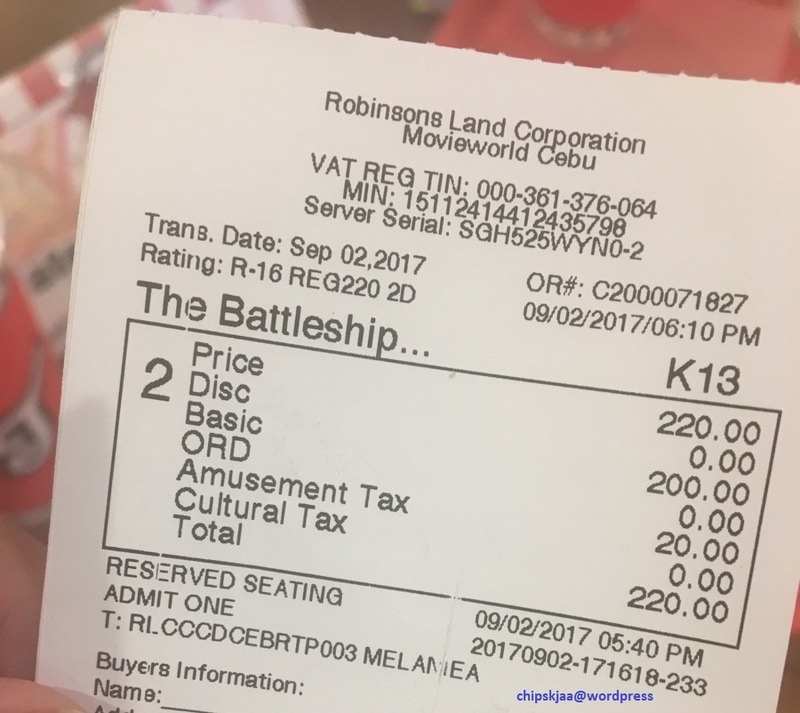 So having Battleship Island in movie theaters is such a treat for Filipino hallyu fans. 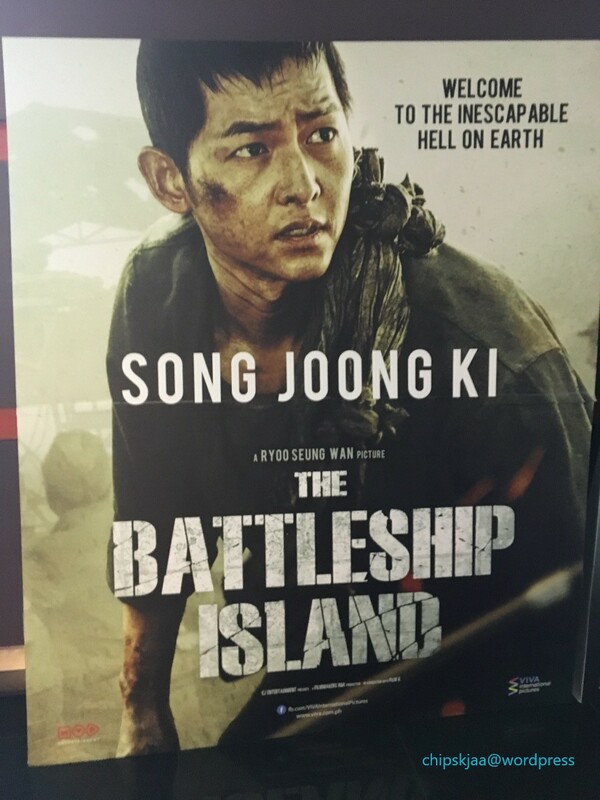 And that’s what me and my friends did yesterday – we watched Battleship Island (군함도). I couldn’t get over how good the movie was and so I decided to rave about it and perhaps entice some hallyu fans to watch it. As the movie is new as of writing this blog entry, I’ve decided not to include the story as it will create spoilers. 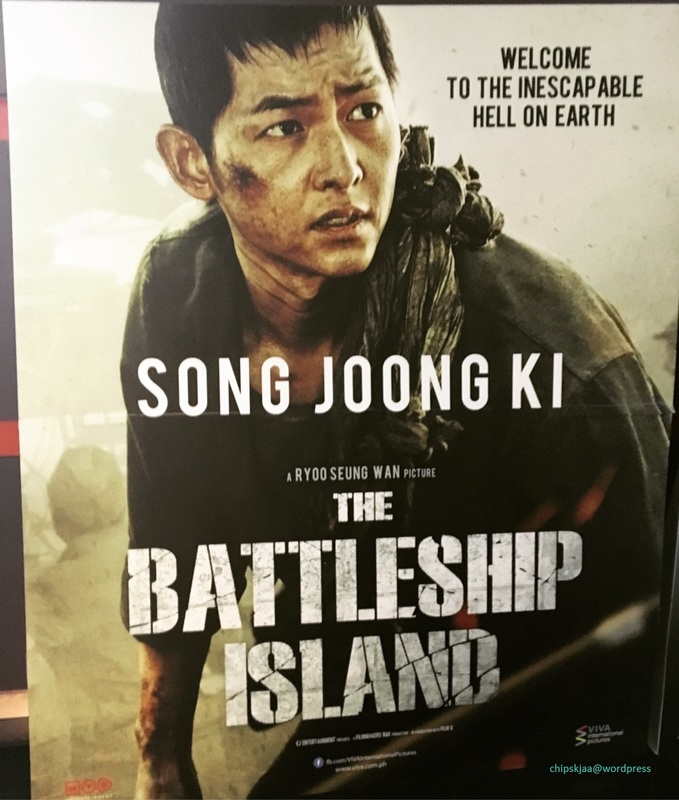 But this movie is the story about the Korean laborers who were working in Hashima Island – Battleship Island – and their attempt to escape from the island. The movie was set in 1945 as World War 2 was coming to a close. The movie stars Hwang Jungmin, Kim Suan (the same little girl from Train to Busan), So Jisub, Lee Jonghyun and Song Joongki. Why I Liked the Movie? I didn’t really expect much from this movie especially because it was a historical one and truthfully I am not a big fan of war movies. War movies are exceptionally painful and sometimes a little gory to watch. And yes, this movie had all the violence, blood and action you would expect in those movies. But I did like this movie because the scenes had me convinced of the struggles of the laborers. The acting in this movie was top notch! Kim Su-an stole the show once more for me. She did that in Train to Busan and did it again here. This girl has a great career ahead for her. My second favorite character was Hwang Jungmin’s Kang-ok. His portrayal of a dad who would do anything for her daughter just tears my heart apart. I also liked the action scenes and the effects. I was cringing the whole time. It was bloody and gory but these effects had me on the edges of my seat the whole time. The action scenes were real enough for me to cover my eyes at time. Spilled guts, amputated bodies, dead bodies – looked true to me. The set and the casts costumes transported me to another era – very different from today. The colors schemes of the scene were perfect for the dialogue. I loved how the contrast was between the dirty dark tones during the laborers scenes and the clean bright tones when the Japanese were on. I was wide awake in the cinema during the whole 2 hour plus run of the movie. Even my “sleepy, tired, overworked” friend who sat beside me didn’t fall into slumber. Although the movie was wonderfully executed, I think they could have done something better. While acting was topnotch, there were some parts that I felt was rushed. Like the introduction of characters. True there were a lot of them, but it would have explained the movie better. Also, there were characters who appeared but I wasn’t sure who they were or why they were there. So Jisub is to me a great actor – but movie, what happened? Something was not right about the way he portrayed the Seoul ganster. I don’t know why, but though this movie is a drama, and we know So Jisub is good at dramas, it was a bit lackluster. An ingredient or two was missing. I realize a lot of people might get angry at this comment – but I think the portrayal of the Japanese might be dramatic / exaggerated for me. It’s true that some of them really had twisted minds during the world war. But there were times when the acting was a bit over the top. It didn’t seem realistic – as with the other elements of the movie. I kind of get that it was so movie goers can better understand the emotions of the coal laborers, but it was too much for me. Overall, this movie was a good watch. I did get my money’s worth and to top it off it had Song Joongki. I do encourage you to see it – especially all Pinoy hallyu fans. If we you watch, it will open up opportunities for having more Korean movies shown in the Philippines. And on that note, thank you Viva Films for giving us the opportunity to see Battleship! Cheers to more Asian movies shown in the future! You rock!!! If you’ve seen the movie, let us know what you think! Struck with Asian Fever – Again!!! It’s been a bit more than four years since I’ve last posted on this blog. In the span of 4 years, I wasn’t able to write anything or keep up with the trends. I had to withdrew from my Asian addiction because life demanded more. So this blog was shelved. But about a month ago I was stuck at home ~ advised by my doctor to rest for 2 weeks. I was bored as hell! I finished most of the shows on youtube I was subscribed to and Netflix shows didn’t interest me (because I’ve seen most of them). Then my sister was raving about a Korean drama called Goblin (쓸쓸하고 찬란하神 – 도깨비). I didn’t really feel like watching any Kdrama – I basically swore off anything Asian for fear that my addiction would come back. But because I was bored – I tried to watch it. 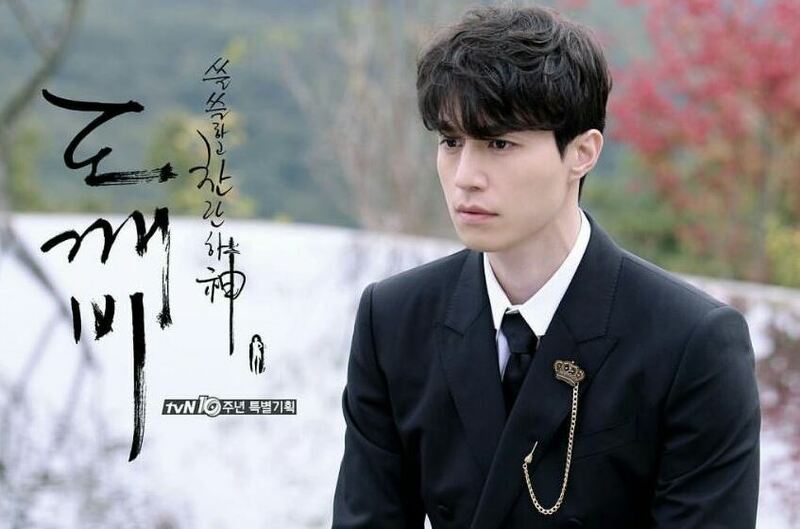 Was not expecting much – but I was looking forward to seeing Lee Dongwook. Started episode one – then it became episode 2 – then 3… then before I knew it I finished all 16 episodes in a day!!! Goodness! Asian fever has slowly descended once more. Then I found myself watching Weightlifting Fairy Kim Bok Joo. Went crazy over Bok Joo and Jun Hyung. And then Love in the Moonlight happened. And I’m totally SOLD! 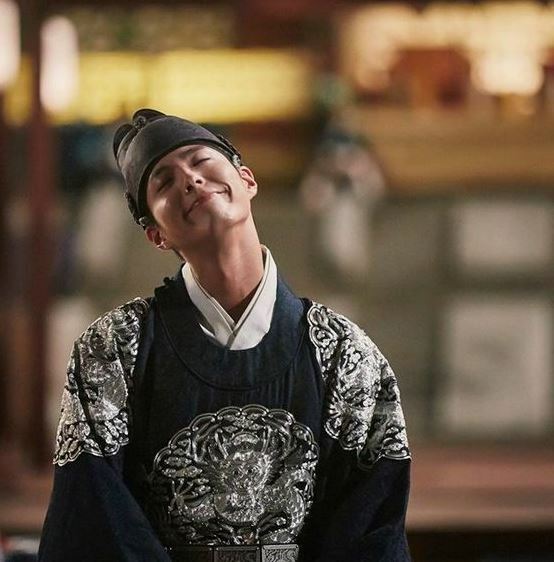 Damn you Bogum-magic! I’m definitel struck by Asian fever again! Who would’t fall for this kid! I couldn’t get over this dance – I still watch it over and over again. He’s too cute for his own good! Yes! This is definitely a sign. Then I heard a lady in her late 40s say – “Naa na diay na? 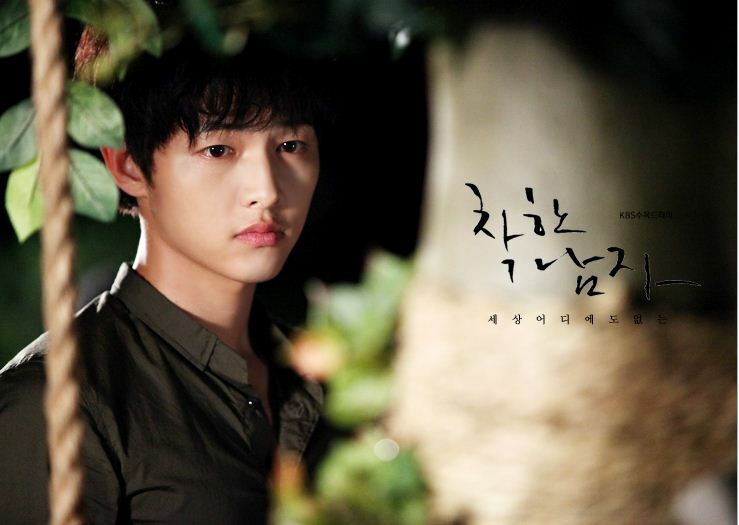 Kana lang atong tan-awon kay naa si JoongKi”. And right then and there I decided ~ it’s time to resurrect the blog! I might be a little rusty when it comes to writing and giving life to this blog. However, this time, I won’t be alone. I’ve convinced some of my Asian crazy friends to create content with me. I’ll be introducing them soon. And so chipskjaa@wordpress is alive again!!! So dear reader, sit back and enjoy our content. After all – the contents we will be making will definitely be for you. Hehe.. but over the time I’ve been missing, there was one thing — or should I say person — who was keeping me company! It’s him! Haha.. if you have been lurking in this blog for a long time, you will know that I like this man soo much! 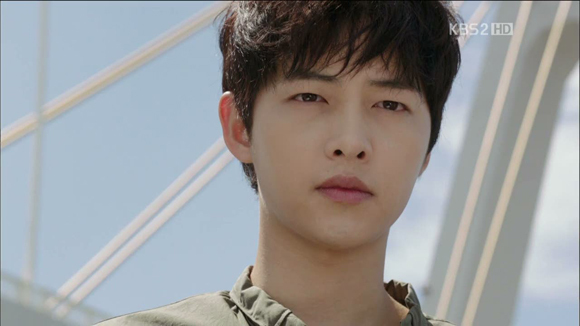 And it would not be a wonder why I got caught up with the Song Joongki fever! I swear this guy is getting popular everyday! hahaha.. especially now with Nice Guy and Wolf Boy showing at the same time. 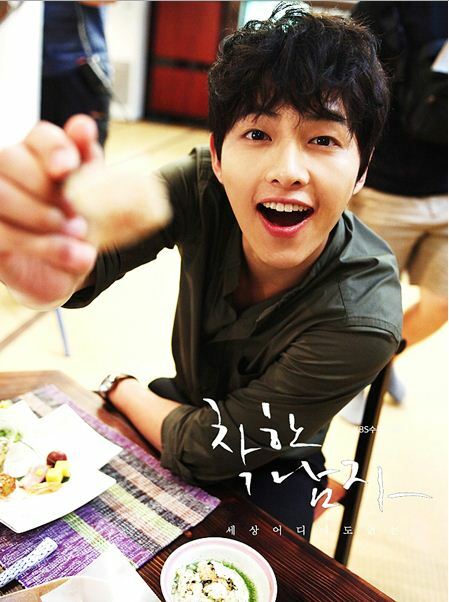 Joongki is every where!! Haha.. He is not just Yeorim anymore! I am so happy everyone is recognizing his talents finally and not just that pretty boy image. This is finally his big break in the industry. 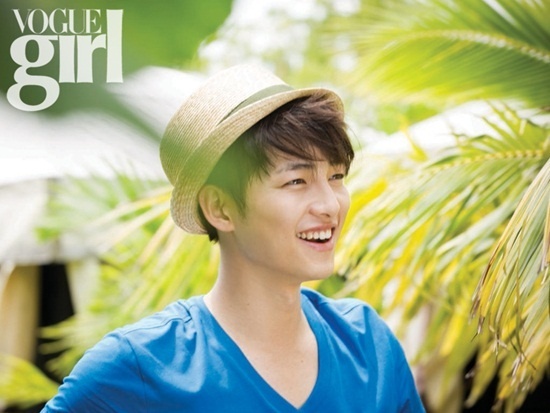 Anyhow… because I have caught with the Joongki bug, I am spamming pics of him when he had a photoshoot in the Philippines. I actually forgot I had these photos and I never posted them on my blog.. Anyway, I’m back to post as much as I can. 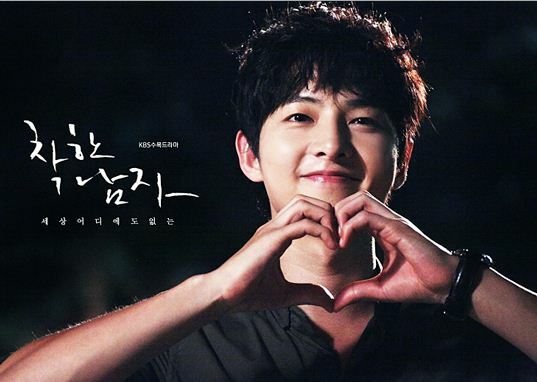 Ending hiatus with the Joongki fever!! Kya ~~~ so handsome!!! I haven’t been paying attention to too much dramas recently (Reply 1997 ended and I haven’t been watching too much Kdrama). These days, I’m busy keeping up with all the English series new seasons and premiers. 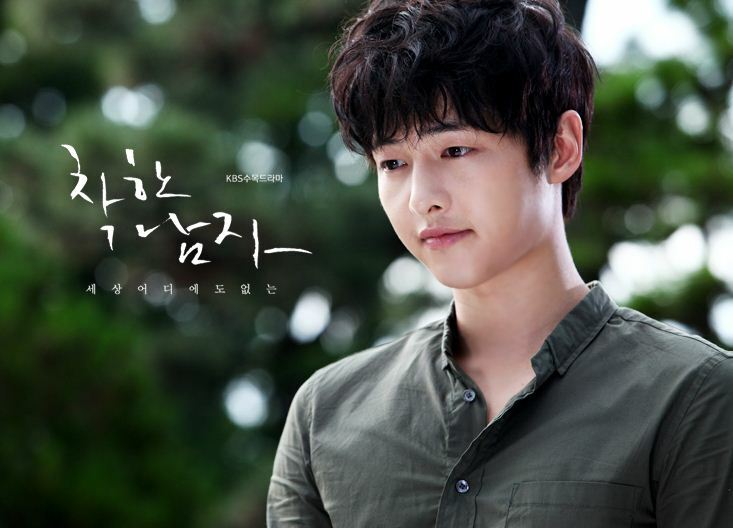 But I do watch one drama because of Song Joongki!!! Now this is not a recommendation post but rather a pic spam post. 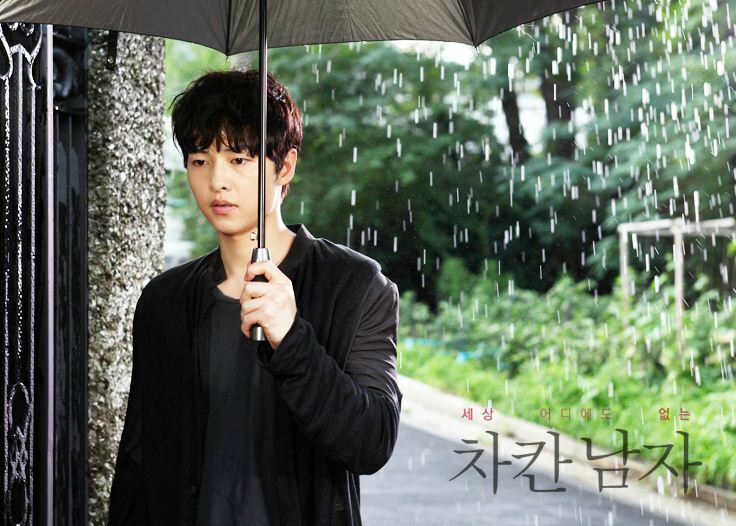 Though I like the drama’s story and Joongki devious character, I will be waiting for the drama to end before I can recommend it. 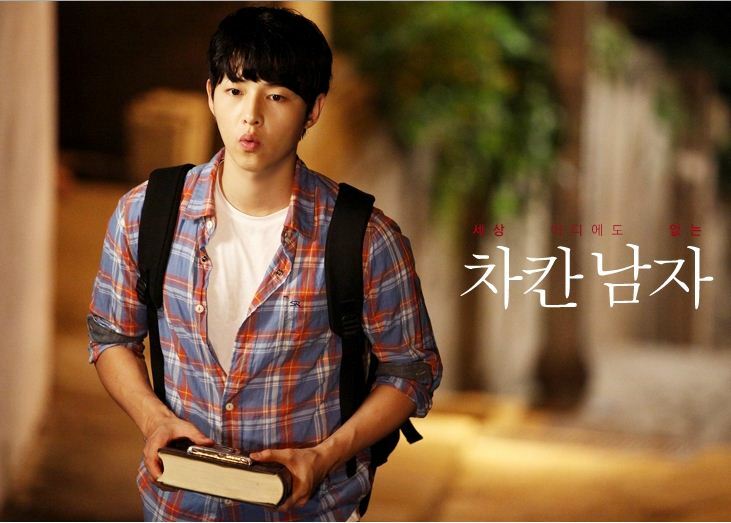 So here are the many faces of Song Joongki in Nice Guy. This guy is really really handsome! I was talking to a Korean friend yesterday and she said he is handsome beyond words. His skin is even better compared to all the other actresses in Korea! Omg! I’m pretty impressed with him in Nice Guy! On top of that he is very very handsome! Nice Guy (차칸남자) Teaser is Out! I have work tomorrow but that does not stop me from posting this! I should really be going to bed now! But OMG!!! 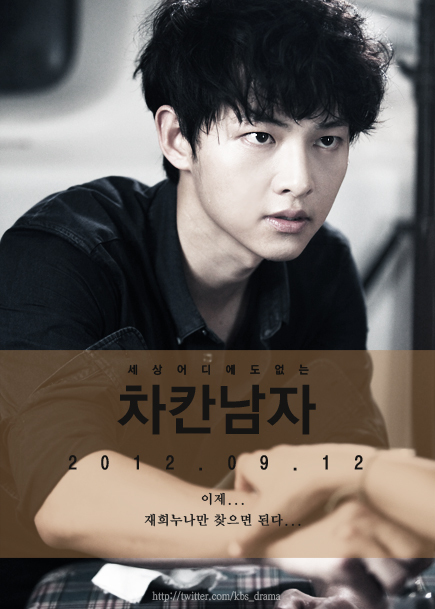 The trailer for Song Joongki‘s new drama is out.. actually it was posted 2 days ago! Grrr.. I should have checked my youtube subscriptions! 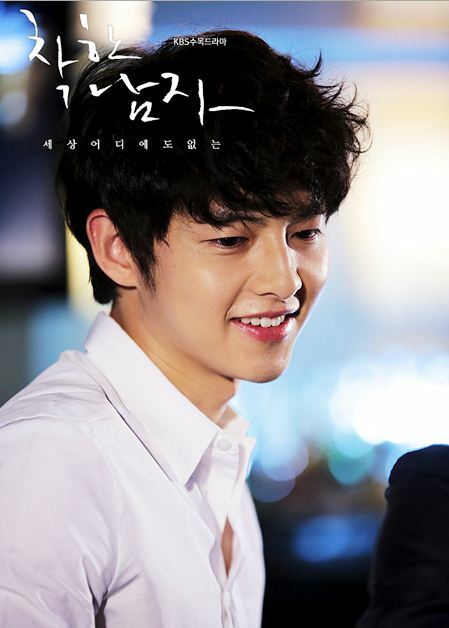 Song Joongki will be playing the lead character Maru in the drama 차칸남자 (Nice Guy). 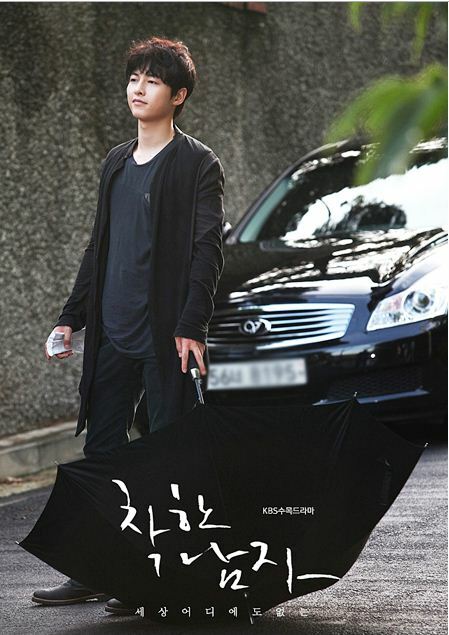 His role will be a good guy who was betrayed by his girlfriend in the past. He decides to change his ways to become a bad guy and get his revenge. His co-actors for this drama are Moon Chae-won and Park Shi-yeon. Oh and by the way, this is the drama where Lee Gwangsoo (from Running Man) is casted too. Like I said I really could not imagine him being a bad guy! Maybe because his roles in the past required him to be the cute guy.. who at times can be serious (oh Yeorim how we miss you!). But this will be a first and I am quite excited to see the different side to him. This would prove his ability as an actor! I’m not very sure though about Moon Chae-won. I am not very quite convinced with her roles in the past. But you never know maybe it would change. But I can’t wait for it for this drama.. 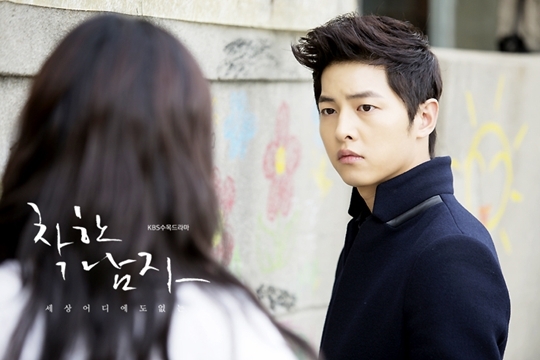 I can’t wait for Song Joongki’s transformation…. Nice Guy will be premiering after Gaksital. So I was busy reading about Ji Hyun Woo and Yoo In Na (if you’re a Queen In Hyun’s Man fan.. you would know that Ji Hyun Woo confessed he really like the girl a lot — but this post is not about that so I’m not going to elaborate! ), when suddenly I saw this ad pop up! 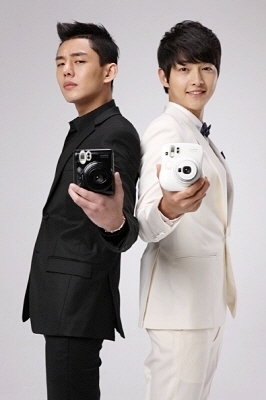 It’s Song Joong Ki and Yoo Ah In for Instax (42 sec CF). Bring back Georoh and Gu Yonghwa!!!! Suddenly I miss Sungkyungkwan Scandal! To watch the 30 sec version click here. To watch the 20 sec version click here. Could this two be cuter! Look at SJK playfully kicking YAI! Personally between the two I’m more of a Song Joongki fan.. though Yoo Ah In looks good too! I think this hair suits him more than his disheveled look in SKK. But it was a role after all. I thought he looked a bit old with that hair. Seeing him like this reminds me of how young he looked in Antique Bakery. But he did look good. 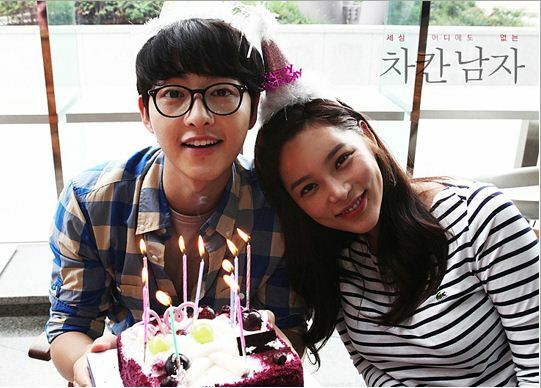 As for Joongki, I won’t say anything more but that he looks so cute.. If I start babbling I might sound like a crazy fan girl. 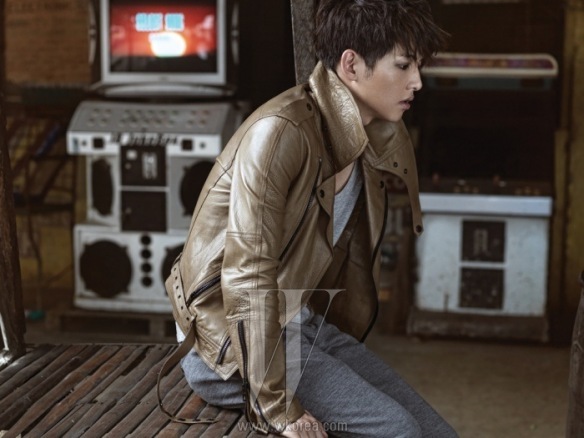 Oh Joongki why do you look so perfect! kya… pinching myself now! But it’s good to see them in a commercial. On a side note, I think the concept of this ad is quite good, banking on how manly Yoo Ah In is, with reference to the manly Georoh and how romantic Song Joongki is — Gu Yonghwa is that you? Very simple black and white background, not too much fuss with the set, but it gets the message to the audience. I like that! Now we see an ad, wish we could see them in another project for television or film together! How handsome can he be!!! Song Joong Ki was a recent guest for Star Date on KBS World!! I swear he’s getting more handsome! And look at those girls.. ahaha I wish I was there — oops sorry about that, that’s just the fan girl talking. But seriously this guy is so handsome and he’s looking younger! Sooo handsome! and the smile.. ok ok I’ll stop. But I do hope he becomes better as an actor. I mean he’s not yet as good as the veterans in the Korean drama and movie world, but he can act. He just needs more exposure and LEAD ROLES! 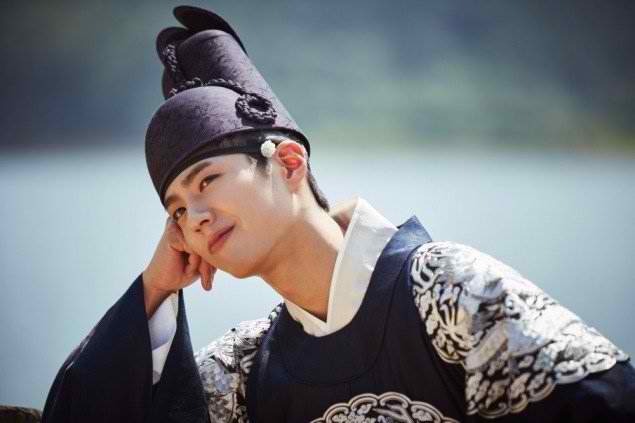 I do want to see more of him playing the lead in the dramas. 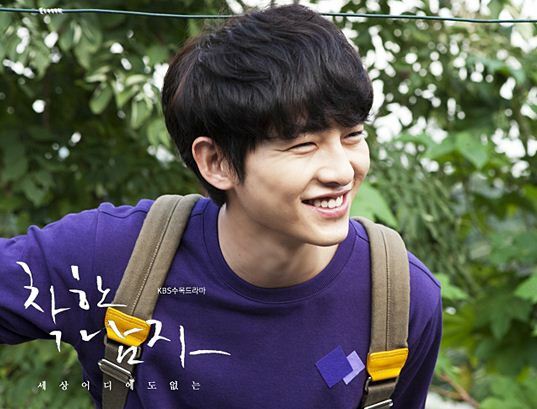 He did quite well in Sungkyungkwan scandal, I think he can do good in other roles. Song Joong Ki was In Cebu! Can I break down and cry now?? He was here and then I missed him! Kk oh well at least we were in the same country and province for a time.. 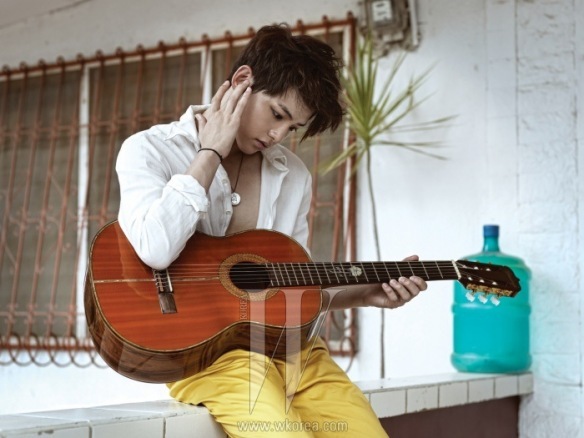 He was actually in Cebu (Philippines) for a photo shoot for a spread on Vogue Girl. He stayed in Imperial Palace Water Park Resort. That resort is, if I am not mistaken is owned by a Korean. A lot of my students flock to that resort for a weekend get away so I sure he was ok there. (It’s good and affordable by the way). And I’m sure he was relaxed that time because it was reported that “he was seen taking an afternoon nap, chilling in the pool, and reading a book under a cooling shade”. I so envy the people working in Imperial right now! Here are 2 photos, but the spread will be available i think next month. Yay! the subs for Running Man episode 22 is out! 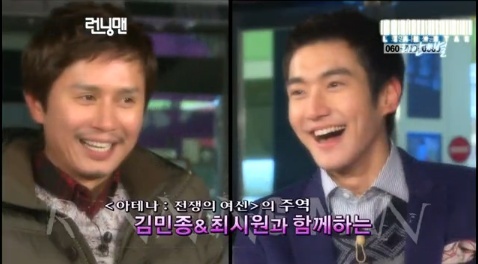 Also, Siwon’s co-star from the very popular drama Athena, Kim Min-jong, is a guest. For more Running Man episodes.. don’t forget to visit isubs dailymotion channel! 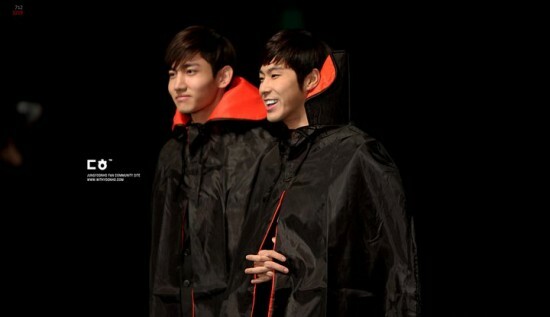 I bet the Cassies will be thrilled to see Uknow and Max strutting their stuff on Running Man… can’t wait!!! absolutely love love love this show!